Replacement end piece (air vent + drain valve set) for SSM/BSM series radiant heat manifolds. Includes manifold tee with pre-installed 3/8" automatic air vent and a 1/4-turn drain valve with garden hose threads and a cap. 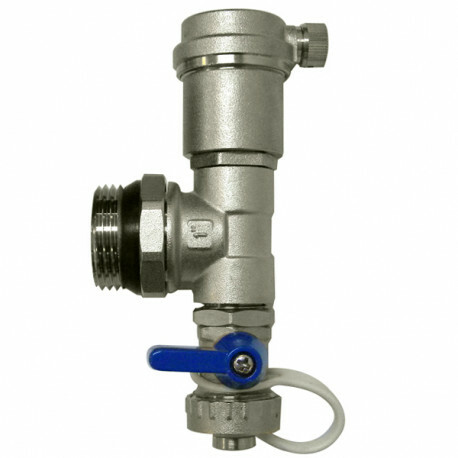 End pieces are included with every manifold set and do not have to be purchased separately unless replacement or a modification to the manifold is required.